About five years ago, after extensive research, the Calvert Marine Museum opened a new exhibit highlighting the Golden Era of Powerboat Racing in Southern Maryland. The primary focus of their exhibit was the racing period between 1940 – 1980 where thousands of spectators would attend the races along the shorelines of the Potomac and the Patuxent Rivers and cheer on their favorite boat. To celebrate the opening of this exhibit, in June 2013, a long overdue 40 year reunion of the members of the Southern Maryland Boat Club was held at the museum. Expecting a gathering of 100 or less, our hosts, the Calvert Marine Museum’s Richard Dodds and Robert Hurry were pleasantly surprised with a turnout of nearly 300 “old racers” and friends. What that told us was the love of boat racing was still in our veins and we needed to do something about that, and here we are! We have been very fortunate to be invited to former race sites and new events such as the Antique Power Show at the Calvert Marine Museum, or being welcomed by the Town of Leonardtown to exhibit these beautiful boats in a display of thrills and spills in the waters of Historic Leonardtown Wharf. These boats and their motors range from the 1960’s to the 1980’s and as you can imagine, there is a lot of excitement to this returning sport. The Southern Maryland Boat Club held its first planning meeting in 1957 at Capt. John Bean’s Fishing Center at Wynne to organize a group to oppose proposed legislation to license and regulate pleasure boats. At the point of organization, the club was founded under the name of the St. Mary’s County Boat Club and didn’t put much effort into the political agenda for which it was founded, but did hold several organized events. On July 28, 1957, Capt. John Bean’s Fishing Center hosted a crab feast that featured the first boat races by the club using peach baskets and inner tubes to make the race buoys. 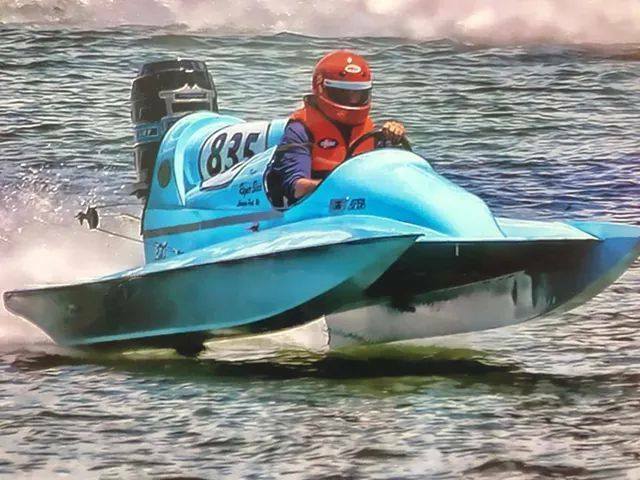 SMBC sponsored racing events after that first race on July 28, 1957 through 1979 and in that time joined and operated under the Outboard Pleasure Craft (OPC) rules of the American Power Boat Association (APBA). Whether it was the oil embargo of the 1970’s or the aging out of the drivers, or if life simply happened, the Southern Maryland Boat Club went into hibernation until a warming ray of sunshine from the folks at the Calvert Marine Museum slowly awakened it’s old time members to return to their boats and start their engines! SMBC officially restarted in 2015. For a more detailed history of boat racing in Southern Maryland, we encourage you to read “Thrills and Spills” written by Robert J. Hurry and Richard J. Dodds of the Calvert Marine Museum in Solomons, Maryland. Check out our "Events" page if you are interested in seeing these beautiful boats up close. If you have a vintage race boat waiting to swim again, contact us or come to our monthly meetings the 4th Thursday of each month at Nicolletti's Pizza in California starting at 6:30 p.m. and ending at 8:00 p.m. All are welcome. See Joanna Macaulay's photos of the Regatta here. Use your browser's back button to return to this page. If you have a link with photos of our event that we could publish, please send an e-mail with the link so we can share it with our viewers. Thanks also to Joanna Macaulay of Calm Reflections Photography, Jack and Nicki Goodman, Anthony Hammett, Joyce Christman and Carla Payne for sharing their photos. The next meeting of the Southern Maryland Boat Club will be on Thursday, April 25th, at 6:30 PM at Nicolletti's.